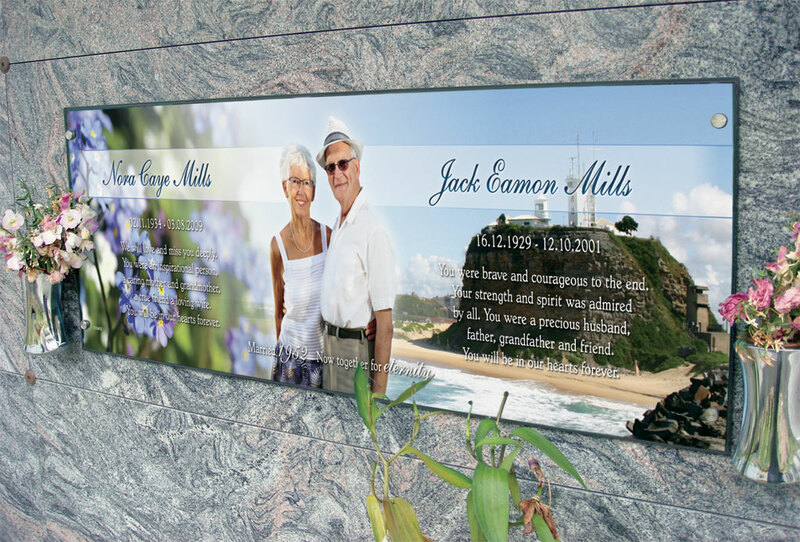 Life’s Memories plaques are a unique product developed in Australia that for the first time allow a full colour image to be incorporated into a memorial. Families are able to incorporate pictures and words into a plaque that allows them to ‘tell the full story’ about their loved one. The plaques allow a full colour image to be used and provide unlimited words for families. Prior to Life’s Memories plaques memorials were restricted to traditional lettering, bronze plaques and small ceramic photographs. Our plaques take this evolution further so that a digital image with full colour photographs, backgrounds and words can all be incorporated into a plaque design. This level of detail has until now been impossible. 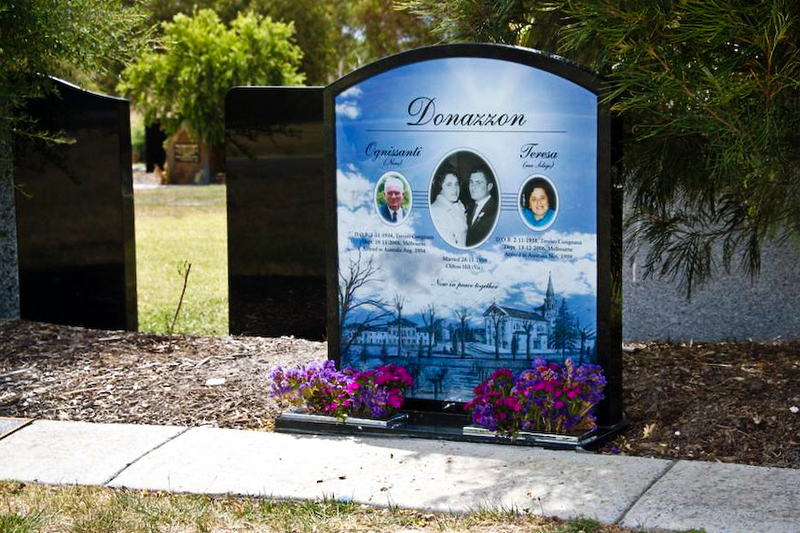 Our plaques allow a family to design their own unique memorial for their loved one. On slopers and other memorials. Cremation estates on walls, on garden estates and in lawn edging. 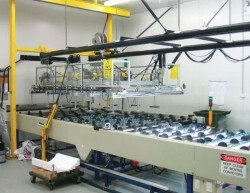 Life’s Memories plaques use patented glass laminating technology developed in conjunction with DuPont. 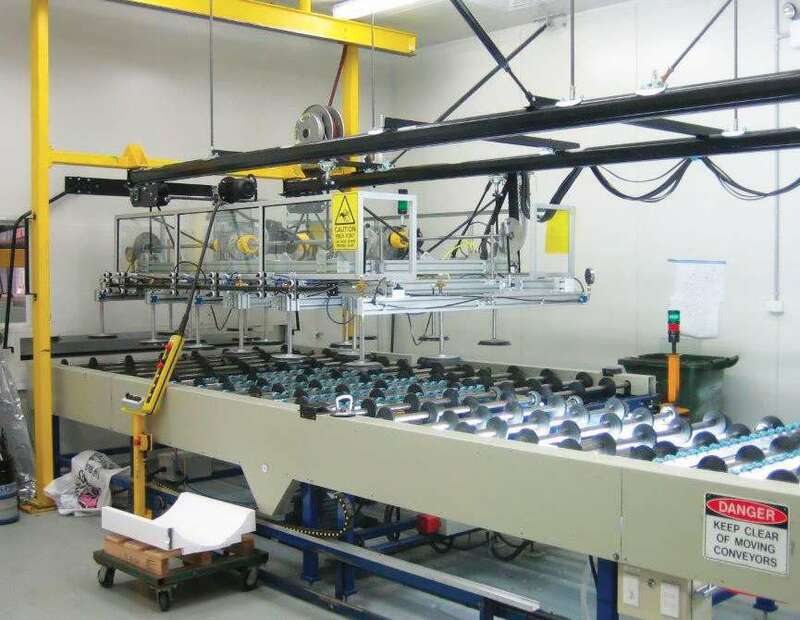 Our plaques allow a full colour image to be printed in a high resolution that is protected from fading and able to withstand the Australian elements. Our plaques can be tailored to suit any clients needs.